Headed to the sandy beaches of the North Myrtle Beach for spring break this year? Nothing says vacation like spending the day at one of our beautiful beaches. When staying in one of our Oceanview vacation rentals, having the right items in your beach bag will help make your vacation much better. Be sure to check your “beach bag” must have list before you leave for your trip to guarantee you’ll have a good time. Making sure you have the right beach bag can make a big difference for your family. Sure, you can throw all of your items into any bag, but did you know that all beach bags were not created equal. We suggest looking at the size, water and sand resistance, security and stylish when searching for your bag. We have found that even using a backpack, diaper bag or an a large utility tote bag works perfect as a beach bag. Pack a towel for everyone in your family whether you are going to sit in the sun or swim in the ocean. Bringing an extra towel with you is always a good idea especially if you have little ones with you. 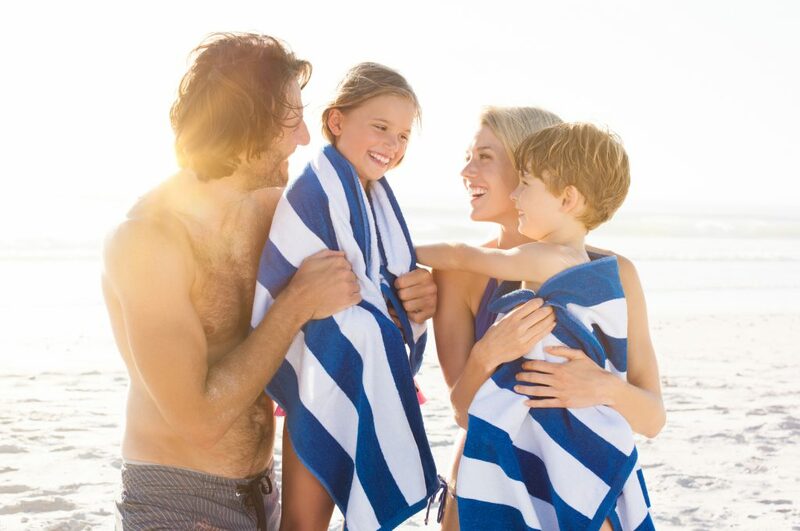 Having a beach towel with a different design can help each member in your family remember which one theirs is. You can also make a pocket or two for your beach towels. Just sew a few pockets on one end of the towel to keep a few things handy like sunscreen or your sunglasses. With the southern sun in North Myrtle Beach, sunscreen is a must for any beach bag. Use a sunscreen that is designed for your beach activities such as waterproof, sport, high SPF, etc.). Dermatologists recommend that you use a sunscreen with at least 30 SPF while you are enjoying the sunshine. And don’t forget to Reapply throughout your day as we don’t want you to ruin your vacation the very first day your here with a sunburn. If you do happen to get a little too much sun while on vacation, then make sure you have some aloe in your bag or back in your vacation rental. Between the water, sun and sand, the beach is filled with many things that can damage your phone. Bringing a water-resistant pouch to the beach can be a lifesaver for many. 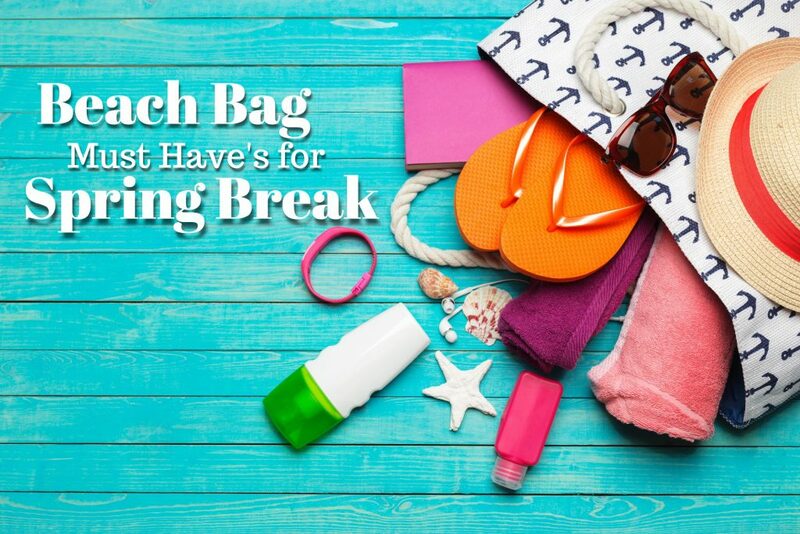 If you are unable to find a water-resistant pouch before you leave for spring break, you can grab a sandwich bag or Ziploc bag. Both of these items will keep your phone and other electronic devices safe from the elements of the beach. When you go on vacation with kids, bringing sand toys is a must. But we understand that bringing back the sand into your car or vacation rental can be a hassle. 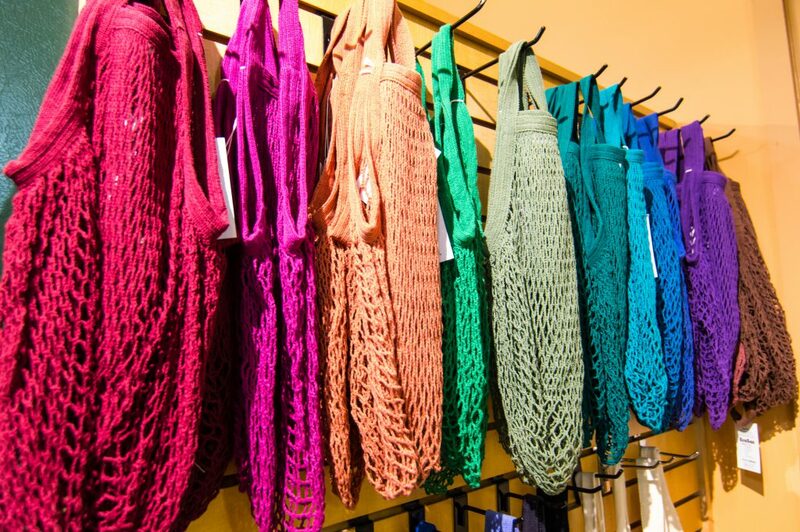 Grabbing a mesh bag such as a laundry bag or a reusable market bag from a store at home can help eliminate the mess. Just throw the sandy toys into the bag, give it a good shake or two and leave the sand behind at the beach. Making sure to pack both of these items are a must on any vacation you take to the beach. The sun in the south is a lot warmer than it would be up north, and so we want to make sure you are protected. Sunglasses will protect your eyes from the suns bright rays and will offer you some relief when trying to keep an eye on your little ones playing. Whether you have a floppy hot or a baseball cap, you will be happy that you brought these along with you. Be sure to pack one for each member of your family. When you are spending the day in the sun and at the beach, you will want to stay hydrated as well. 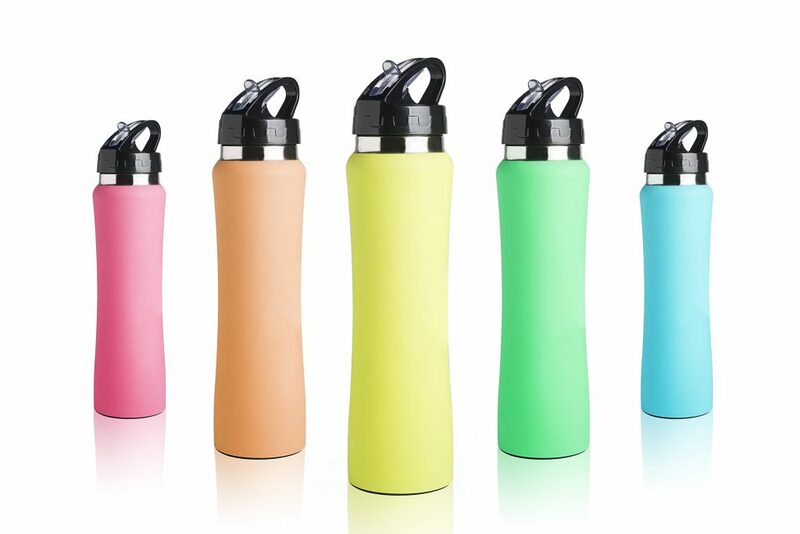 Throw a few water bottles in the cooler or bring a reusable bottle such as a Yeti Cup or an insulated water bottle as they will keep your drink ice cold all day long. The sun and salt will dry you out so make sure that you have enough water to go around for everyone in your family for the whole day. If you are staying in one of our Oceanview vacation rentals, then you will be able to go back to refill the bottles. You may not have thought that this would be a must, but it is whenever you go to the beach. Whether you are staying in a vacation rental or you decided to drive your car to the beach access, sand will be all over you when you leave the beach. So, bringing baby powder in your beach bag will magically get the sand off of your body without irritation and leave a nice scent too. This is perfect for everyone in the family and not just the kids. There are many other items that you can pack into your beach bag for your next trip to North Myrtle Beach, but these are the must have items we thought you should have with you. If you are still looking for a place to stay for spring break, then check out our Oceanview vacation rentals today. We can’t wait to see you and your family as you enjoy the South Carolina Coast!